Multiple Man #1-5 | Jamie Madrox Is Both A Savior And His Own Worst Enemy! Jaime Madrox has lived and died, and now in his own miniseries, he must stop a new threat. Jaime Madrox is his own savior AND his own worst enemy in this 5 part story arc! How’s it going, everybody!? We hope everyone had a wonderful weekend. A new week means a new set of themed trivia and bingo events from Kevin Cerrito! So, let’s get into. See where you can play around the 901! Anthem is a song that’s been hummed for a long time. BioWare (and home company/publisher/overlord EA) spent years working on the title, taking leads from their stellar storytelling games, and learning to pour them into a caldron full of Online Third Person Shooter Open World games. The result has some big shoes to fill. In this week’s new episode of the 2 Player Co-Op podcast, Sean is back and better than ever! He and Kevin compare the amount of games they each have purchased on their PS4's, talk what they’ve been playing, and get hyped for Link’s Awakening. Check out after the jump! Heroes In Crisis #6 | Why There Are Two Wally's At Sanctuary Theory! Since the massacre at Sanctuary that left many of DC's legacy heroes dead, a shocking revelation about Booster Gold raises even more questions in DC Comics' Heroes in Crisis #6.
Who Is DC Comics' Rocket? The Sidekick Who Wants ALL The Smoke! She's one of the toughest sidekicks in the game, and she's not afraid to get in the face of anyone, including Batman! Who is Raquel Irvin? Who is Rocket? Wolverine: Infinity Watch #1 | Logan & Loki To Guard The Infinity Stones? Wolverine has secretly been at the center of the Marvel Universe for the last 2 years, and now must team with Loki to guard the Infinity Stones in Wolverine: Infinity Watch #1. Return of Wolverine #5 | How Wolverine Was Resurrected By Persephone! Persephone reveals how Wolverine was resurrected, and Logan gets his memories back in Marvel's Return of Wolverine #5 by Charles Soule & Steve McNiven. How’s it going, everybody! It is finally upon us! The next Marvel movie, Captain Marvel opens this weekend. Make sure prep for the movie by playing Kevin Cerrito trivia this week. It includes a whole list of places to play Marvel movie trivia! Plus other awesome places to play themed trivia and bingo around the 901! Check it out. How’s it going, everybody!? The special guest hits keep on coming for the 2 Player Co-Op podcast. This week our very own Nick Schifani joined Kevin White for Episode 126. Watch as the guys have an in-depth conversation about Anthem, the retirement of Reggie Fils-Amie, and much more! How’s it going, everybody!? It’s not too late in the day to make plans to check out Kevin Cerrito Trivia for this week. So, let’s get right to it! See where you can play awesome themed trivia and bingo events around the 901! Marvel's Damnation Finale | Dormammu Has Come To Bargain & Earth's Mightiest Heroes Face Mephisto! Doctor Strange must make a choice to decide whether its worth it to side with Dormammu to save the world, and Mephisto must face down Earth's Mightiest Heroes in Marvel's Damnation Finale! Extermination #5 | A Classic X-Man Returns & Young Cyclops' Fate Revealed! The young X-Men from an alternate timeline must finally return home, but before they do -- Ahab must be stopped! Also, we learned the fate of young Cyclops, AND a classic X-Man returns! Cosmic Ghost Rider #1-5 | Punisher Changes Marvel History To Create A More Dangerous Thanos! 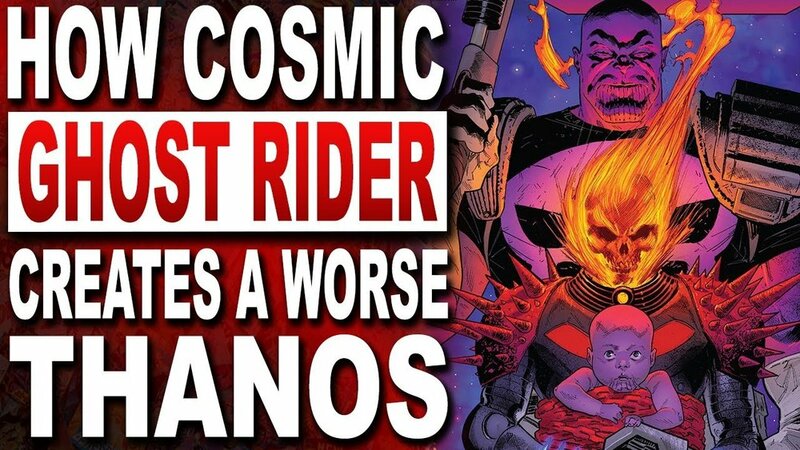 Cosmic Ghost Rider is back, and now that his mini series is wrapped up, let's talk about how he turned the Mad Titan Thanos into a more dangerous threat than the Marvel Universe has ever seen! Also, Baby Thanos! Batman Who Laughs #1 | Joker Helps Batman + The Batman Who Laughs Returns With A Sidekick! Who Is DC Comics' Hardware? Iron Man & War Machine Meets Afrofuturism! A black man who uses a corrupt organization's technology against them in his own war against crime? 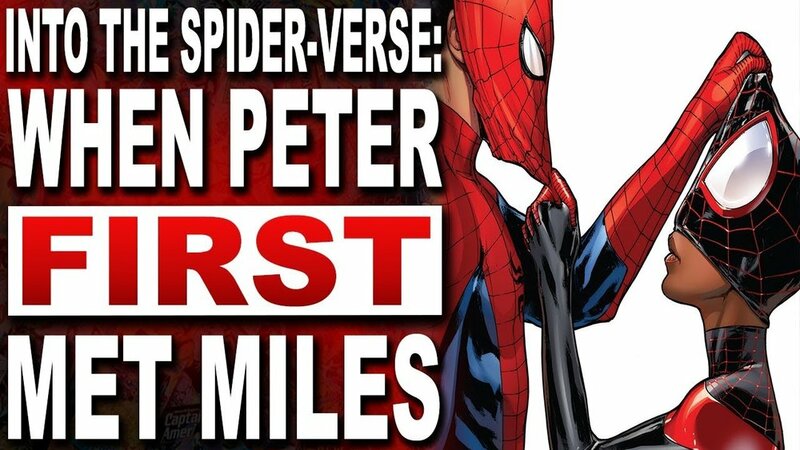 That begs the question... Who is DC Comics & Milestone Media's Hardware? 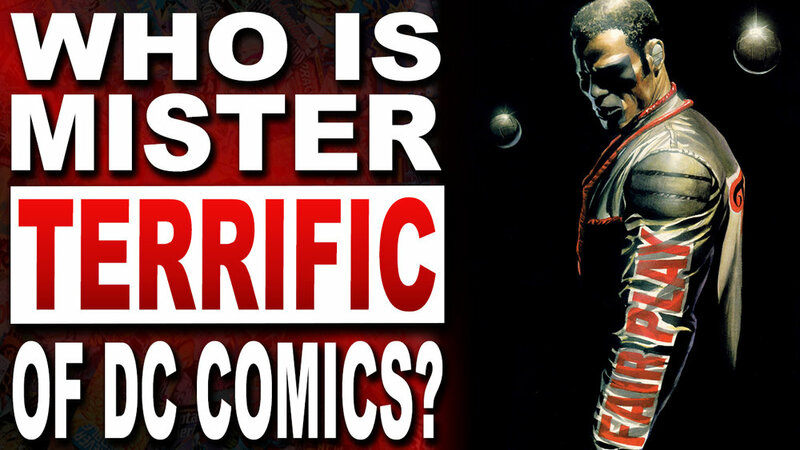 Who Is DC Comics' Mister Terrific? The Most Talented Hero In DC Comics! Let’s talk about the man behind the T-shaped mask who kicks all the @$$ in the DC Comics Universe. Today we find out exactly Who Is Mister Terrific? Thor God of Thunder Vol. 2 Godbomb | Three Thors vs. The God Butcher! Three different Thors from three different timelines must come together to stop the God Butcher before he unleashes the Godbomb and destroys all the gods of the Marvel Universe!